Atlas Construction is an award winning family owned general contractor in Hawaii that has been building residential homes for four generations in Hawaii. Our owner Bruce Kim, has built hundreds of Hawaii homes in almost 20 years. Atlas's extensive experience in the Hawaii home building market has allowed us to simplify the process of new home construction and renovations. We work to make the process less stressful for the homeowners and guide them through each step of the way to the finished product. We understand that for many homeowners, this will be the first project of this kind and our goal is to make it a lifelong memory that future generations can enjoy. Through our years in residential construction, we have come in contact with many families and built many relationships. All of our families have been fully satisfied with our work and have provided positive testimonials about our work in home construction. New Home Construction Atlas Construction builds new homes from the ground up, starting with the initial design until the home is completed. During the project, we serve as the general contractor and project manager, working with our qualified, licensed contractors. Remodeling Atlas Construction provides remodeling services whether a home needs a minor update or a major renovation. We use a variety of materials to coordinate with your current architecture and help increase the value of your home. 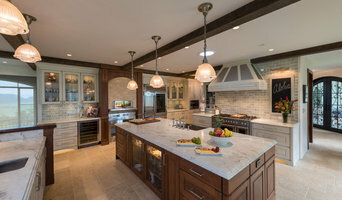 Kitchen and Bathroom Renovations When you need updates to cabinets and countertops with custom creations for your kitchen or bath, Atlas Construction provides the kind of quality you expect. Replace outdated light fixtures and make other minor or major changes to create a modern space that is functional and stylish. Home Additions Whether you are looking for more indoor or outdoor living space, Atlas Construction can provide quality home additions. From decks and patios to additional bedrooms and baths, we can build a cost-efficient addition to your home. Modern Project Management We have a cloud based project management system that allows you to track our progress and communicate with us 24/7. The unique social media sharing options allow you to even share photos with your friends. Inspiration Interiors is excited to introduce another jewel to our collective. A full service design studio for Kitchen-Bath-Closets showcasing quality Italian Val Design Cabinetry along with Alf Da Fre' Italia Closets and components. Contemporary euro-kitchen appliances from Miele, Gaggenau and other top brands. Our National Award-winning design team includes J.R. Ludlow, AKBD Lead Designer, Lyndee Watanabe, Kelsey Williamson, and Elise Unruh, Designer Sales and all graduates with degrees or specialties in Interior Design and Kitchen Design. These design professionals bring well over 15+ years of design experience in Hawaii and are eager to introduce the quality, value and beauty of INspiration Interiors to your Kitchen, Bath and Wardrobes to all Hawaii homeowners, designers, realtors, architects and developers. 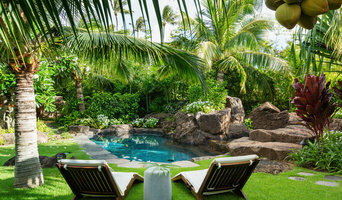 Ko‘olau Builders Inc. is a Design-Build company that specializes in residential remodels, new construction, renovations, and additions as well as commercial and federal contracting. Founded in 2010 by second generation builders from Hawaii, we understand the local business market. Our priorities are, and have always been creating a great building experience for our customers. We cater to the individual needs of each customer and welcome jobs of any size. 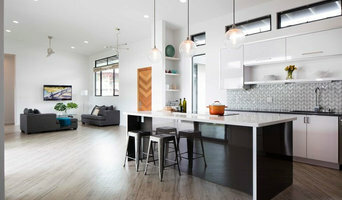 Studio B Designs specializes in Kitchen, Bath & Home Design located in Honolulu, Hawaii. Residential Architectural Firm...The award winning partnership of architect Darrell "Buck" Welch, Jr. A.I.A. and architectural designer Victor Weeks maintains its office in the historic Aloha Tower at pier 10 on the Honolulu Waterfront. From this icon of Hawaiian architecture, they strive to fit their designs into the fabric of island living, where indoor and outdoor spaces flow together and structures embrace nature rather than compete with it.